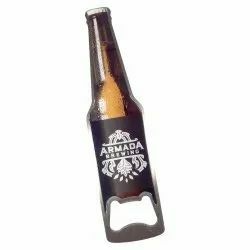 We are exporter and supplier of bottle openers, steel bottle openers, stainless steel bottle openers, stylish stainless steel bottle openers and polished stainless steel bottle openers. 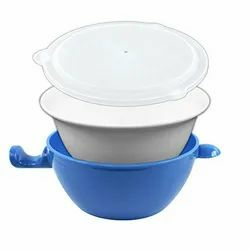 Microwave Bowl offered can be provided with lamination support comprising PE/PET and provide for microwaveable and freezer safe usage. Further, these bowls are also resistant to oil and water and provide for nontoxic usage. Some of its features include provide for healthy and high sanitation usage; available in different sizes; product tailor made at customer's request; smooth even finish; suitable for use in homes, hotels and many more places; also suitable for gifting purposes. Pineapple Fruit Basket offeredcan be made available by us in options of different finish sizes as well as design options to pick from. Featuring quality construction finish, these baskets are perfect to be used in dining areas for keeping fruits and add to the aesthetic finish of the surroundings. Some of its features include superior design patterns that provide for aesthetic finish appeal; long lasting in usage; provide for high functional and decor usage; available in different sizes. 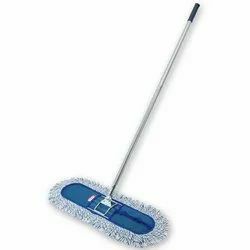 We are a trustyworthy organization offering a wide a gamut of Dry Mop. 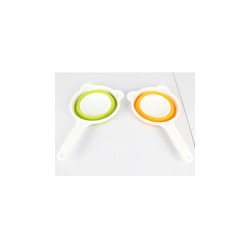 Vegetable Fruits Strainer offeredcome in durable construction finish and provide suitable support for washing of vegetables prior to their cooking. We can offer thee strainers in different size options as well as color options to pick from. Some of its features include available in choice of different finish materials; suitable to be used in homes, hotels and other places; provides for superior overall finish value; classy looks and finish quality; available in various design and size choices. Looking for Home Supplies ?